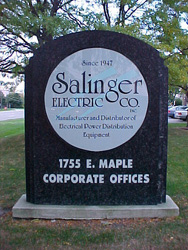 Salinger Electric Co., Inc. has been selling quality electrical equipment both new and reconditioned since 1946. We can supply all new, all reconditioned, or a combination of both at very competitive prices. Call or email us with your requirements.